Mitigate Risk with Enhanced Analytics Platform Security. 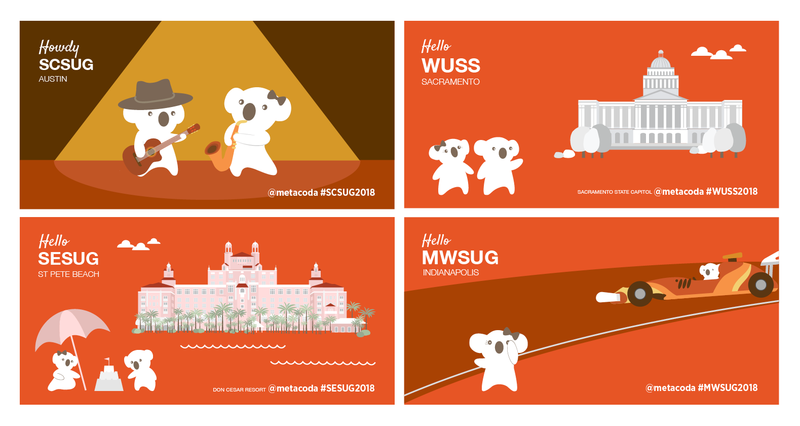 Join us at SASGF! As we’ve noted before, the SAS administrator’s role can be cherished, admired, forgotten, loathed or even ignored – sometimes all in the course of a single day! However, there is one thing that remains constant: the success of SAS Analytics relies on how well the platform performs. So, let’s be grateful to all the SAS admins out there – when our SAS analytics stop working, the SAS admins certainly don’t! 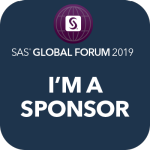 One of the things we love most about SAS Global Forum (SASGF) is the way it brings together the SAS admins and wider community to learn, share and connect so everyone can keep their SAS platforms running smoothly. 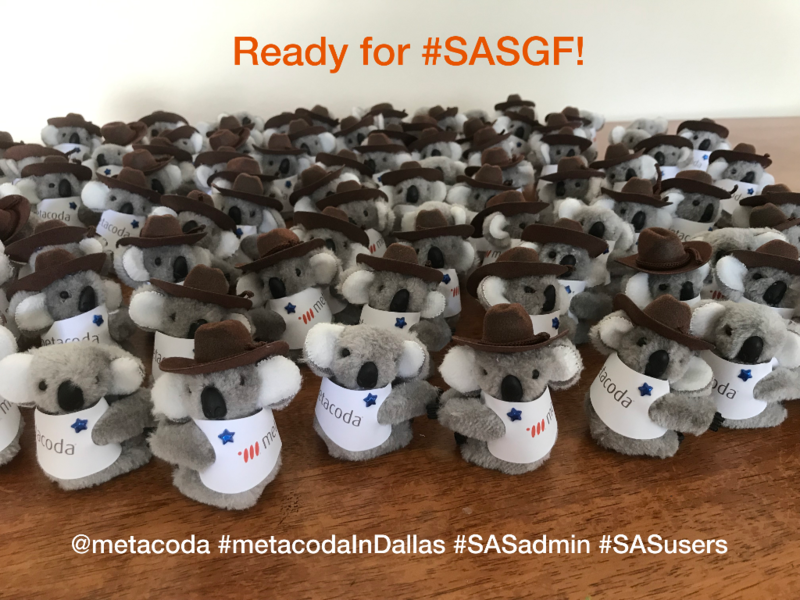 Hope to see you all at SASGF in Dallas! 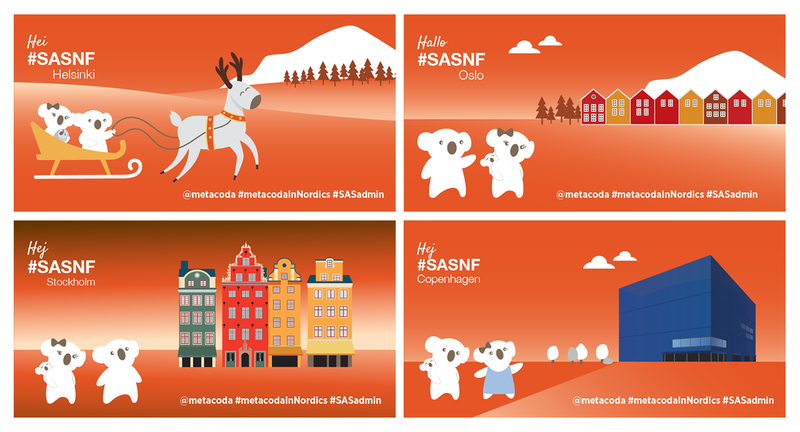 Thanks SAS Nordic Forums for sharing your inspiration, information, community and cool curiosity! With too many highlights to mention, you certainly fulfilled the theme of ‘Be Curious’. From the Nordic Hackathon competition in February, through to the jury and attendee voting at the forums, and the wonderful Data Science Escape Room at each event, it’s no surprise the SAS Nordic community is growing and thriving. The keynote speakers, including Jacob Knobel and Stefan Hyttfors, particularly embraced curiosity in the way they shared their stories. Beginning with an anecdote about what his son did for work during his university break, Stefan’s humorous and entrepreneurial tale used past advances in technology, to prompt us to think about the future. He then left us pondering the question of ethics and technology with the suggestion that… rather than fearing artificial intelligence, we should fear human intelligence. 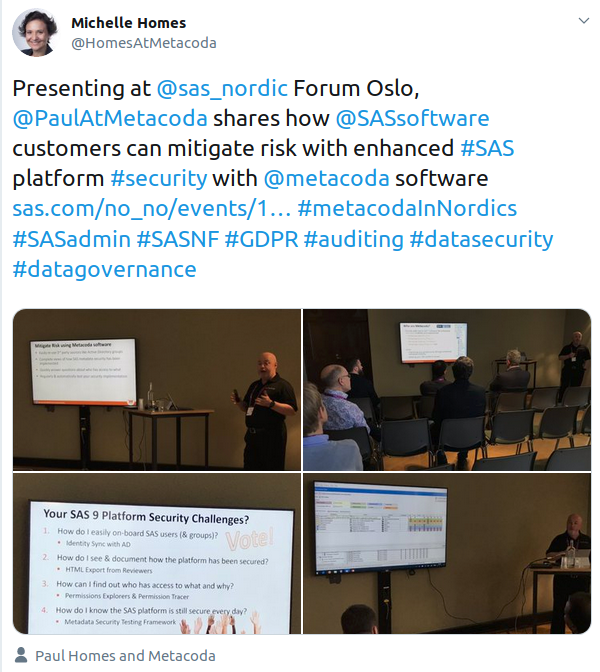 Note: The good news is that all the fabulous presentations from the SAS Nordic Forums are now available to download at the SAS Nordic Community site. Whenever we attend a SAS event, we like to connect as much as possible to make the most of the community, cooperation and collaboration. 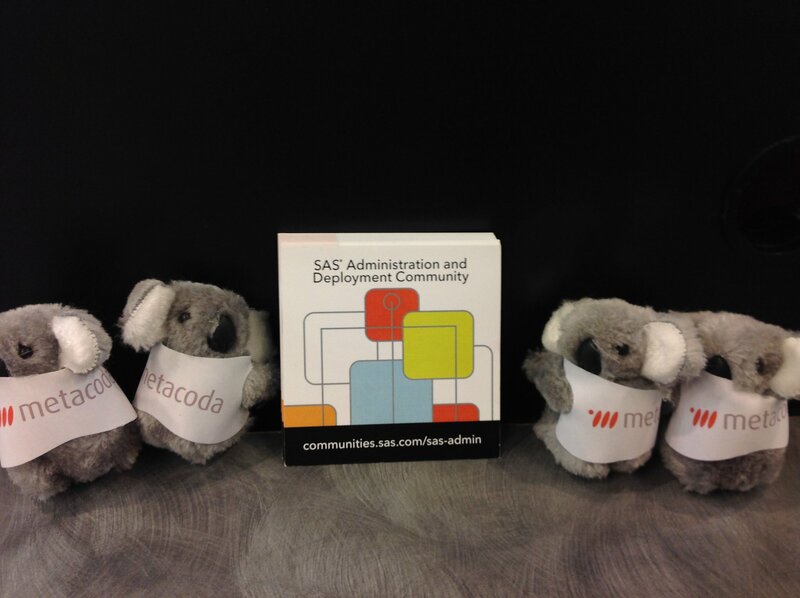 The Metacoda koalas are so excited about the upcoming SAS Global Forum 2019 in Dallas that they’ve dressed up for the occasion! To embrace ‘The Lone Star State’ – as Texas is known – the koalas are donning brown cowboy hats and a blue star on their jackets. The blue star is also well known as the beloved logo of the Dallas Cowboys football team, where it represents the team’s calm composed approach, extraordinary sportsmanship, excellence and grace… all great traits that the koalas are keen to promote in the SAS community! If you’re a fan of curiosity, you’re bound to be a fan of SAS FANS (Four Associations of Nordic SAS users). SAS FANS are known for hosting inspiring and educational events. 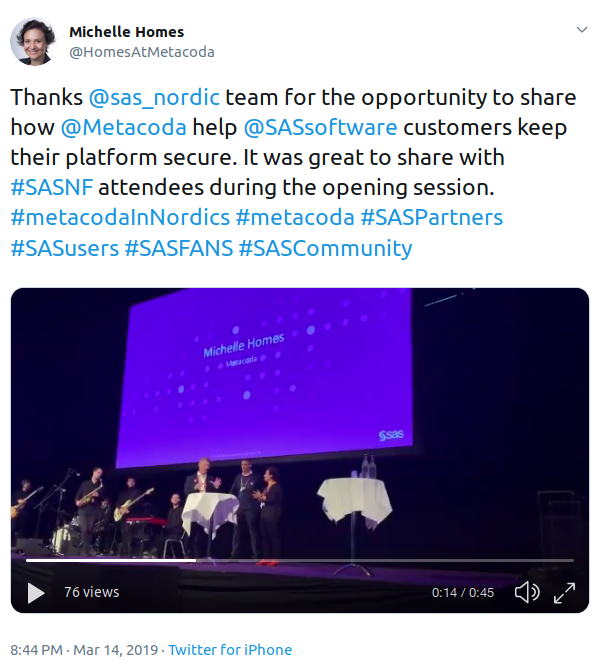 Having presented at an Oslo FANS meeting a few years ago (see 12th Oktober 2015), Metacoda has experienced the high level of enthusiasm, connectedness and support within the SAS Nordic community. 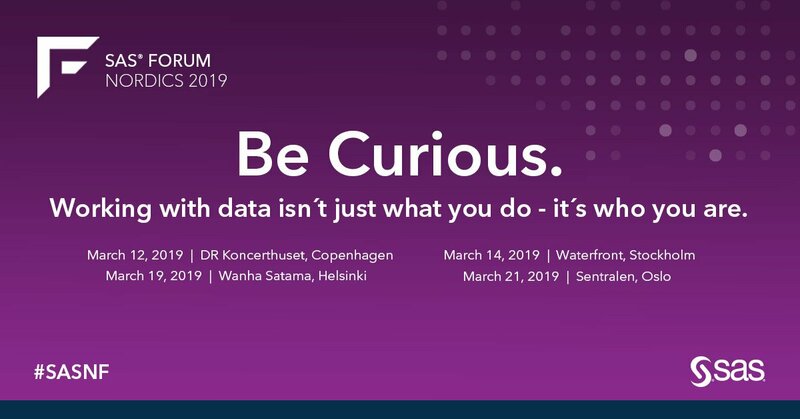 We’ll soon be heading north again to attend and sponsor the SAS Nordic Forums (#SASNF) – how could we possibly resist with the enticing theme of ‘Be Curious’! SAS users in Australia, your vote counts! As Hanlie Erwee (Customer Advocacy Manager) promised at the Australian SAS user group meetings last year, the SAS user survey is now ready and waiting for your input. Please take a few minutes to contribute and vote about what you want for future SAS Australia events and learning. 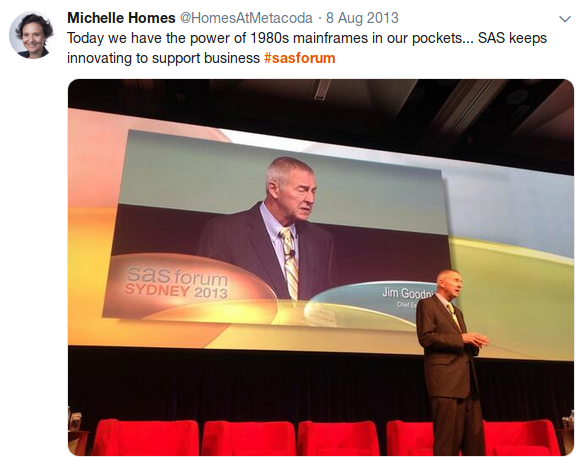 Personally, we’d love to see a continuation of in-person events and SAS Australia Forum again soon. Having attended many SAS forums and conferences around the world, the events that stand out are the ones where users are most connected, valued, and open to sharing. The last SAS Australia Forum was in 2013 – just imagine how great it would be to get together again with all the comradery, support and investment that we’ve seen grow in recent years. 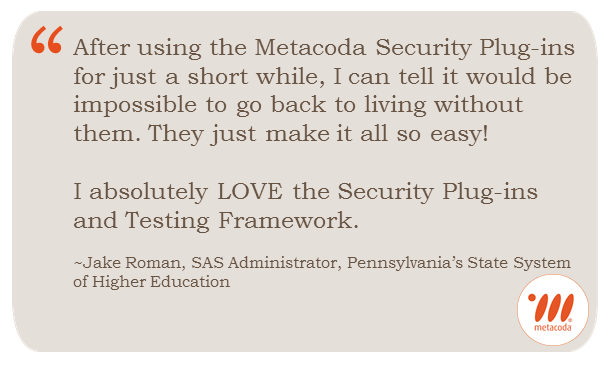 So, think about where you are in your career as a SAS user and your next steps. As the year comes to an end, we wanted to say a special great big koala thanks to our less-furry friends for all your support! We also wanted to show you the following video we made about our adventures in recent years. We’re a bit unusual in our love of adventure given that our real-live koala cousins in Australia don’t like to venture far from their favourite eucalypt tree (since it’s the only food they eat!). connecting and making friends on social, and in person. SAS Admin community: Have you joined your tribe? The SAS Administrator’s role is at times cherished and other times admired, forgotten, loathed or even ignored – sometimes all in the course of a single day! 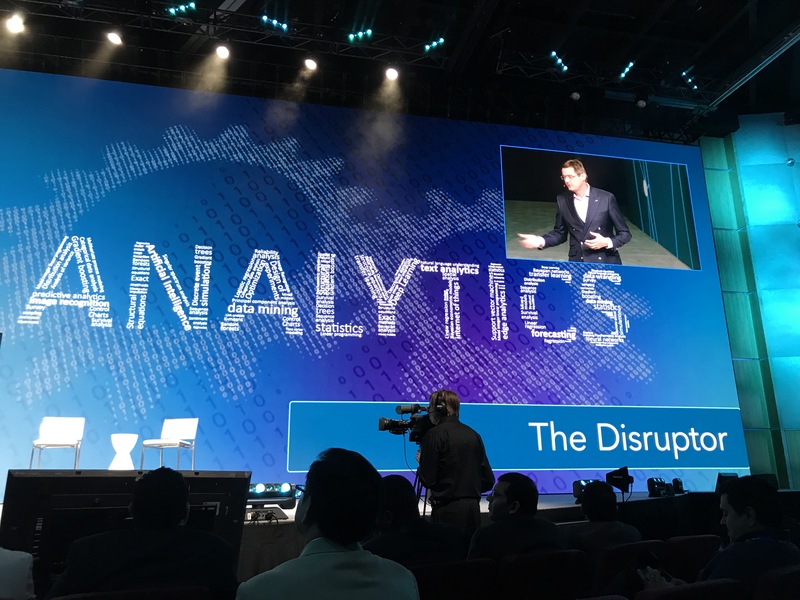 However, there is one thing that remains constant: the success of SAS Analytics relies on how well the platform hums along. If there are issues with, for instance – performance, tuning, connection, or security; everyone will want to know you. Some SAS administrators have likened the role to that of a cleaner. You’re at the front of everyone’s minds when there’s a mess to be cleaned up, but not given much thought when things are spotless the rest of the time. 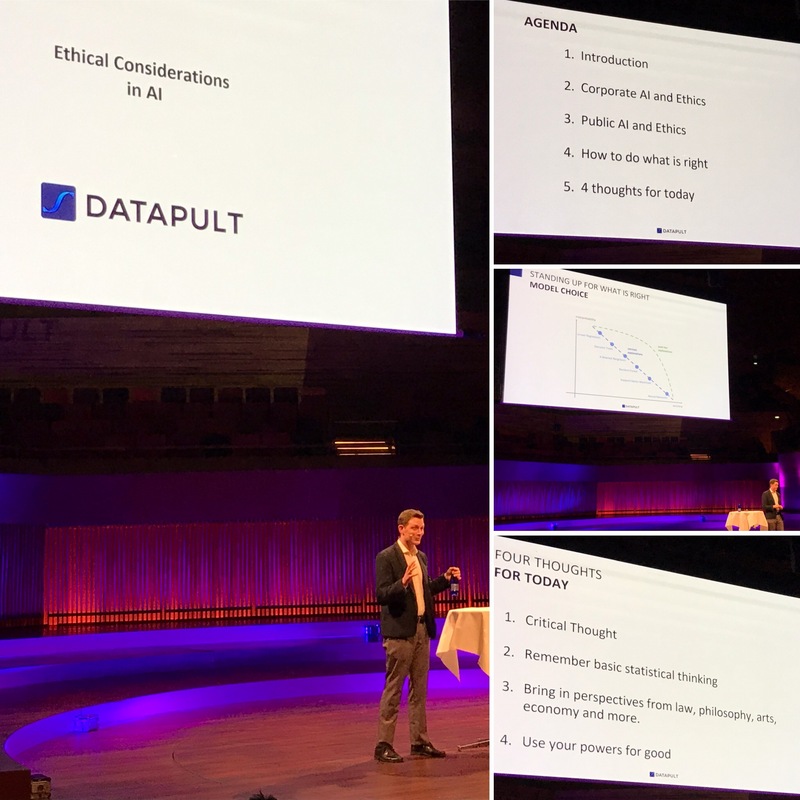 As SAS analytics expert, Gerhard Svolba, outlines in his blog post, A data scientist, does not make a machine learning model – it’s a team effort. These are the words of Oliver Schabenberger (SAS® CTO & COO), who at SAS Global Forum 2018 discussed with Dr Jim Goodnight (SAS CEO & President) about the evolution of analytics and its exciting future. In an interview with Karin Reed, Dr Goodnight highlighted that the power of machines has drastically evolved; from punch card data entry, to the millions of sensors on the network for monitoring and analysis. As fast as machines are, we keep coming up with algorithms that need more. Analytics keeps pushing technology, including automation, connectivity, artificial intelligence (AI) and machine learning, which are all part of the SAS portfolio with the SAS Viya and SAS 9 platform. and, allowing customers to spend more time on the high-value component of their jobs. ‘It’s Time to Get In The Know’ is the theme of the upcoming SAS Forum UK, and is reflected in similar themes at other SAS forums in May and June. The theme is certainly true when it comes to embracing analytics and the intelligence it brings; it’s time to make this transformative technology a reality! 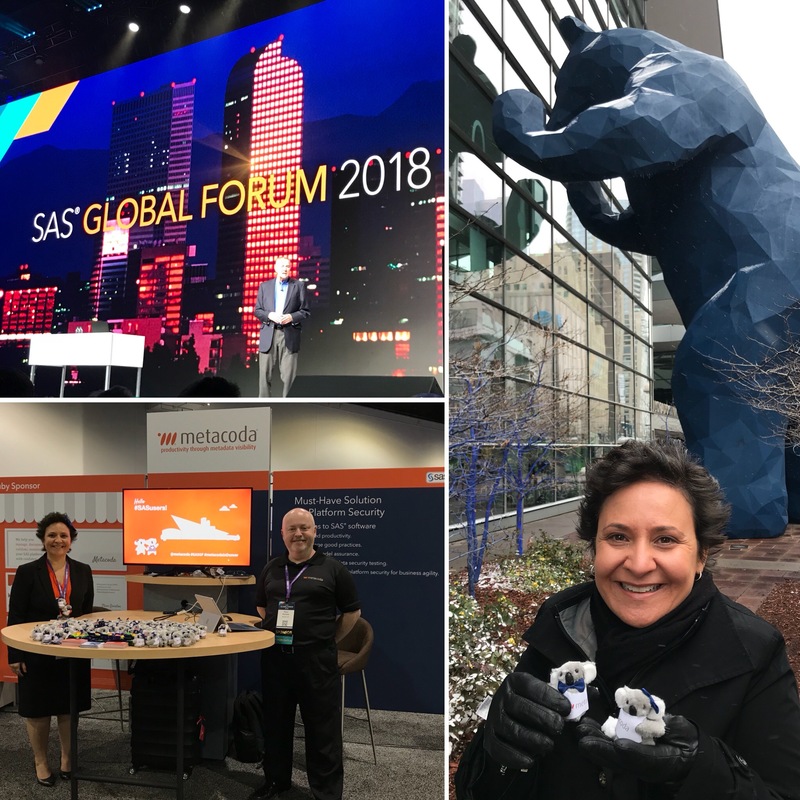 Last month we wrote about how much we were looking forward to being a SAS Global Forum (SASGF) 2018 sponsor in April 8-11. Well, it certainly lived up to our expectations. Every moment was extraordinary; particularly the time spent connecting with customers, partners, supporters, and friends. 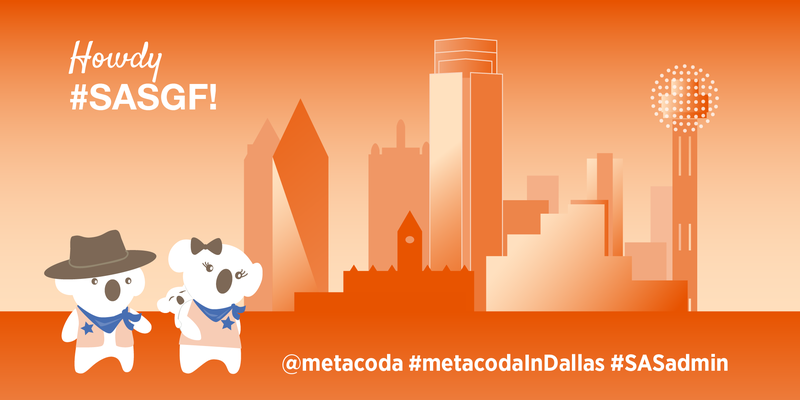 It was such a pleasure to cross paths with so many wonderful people – whether in person, on Twitter, at the Metacoda stand, in the hallways (or streets), via networking sessions, or at the magnificent Kick Back Party. 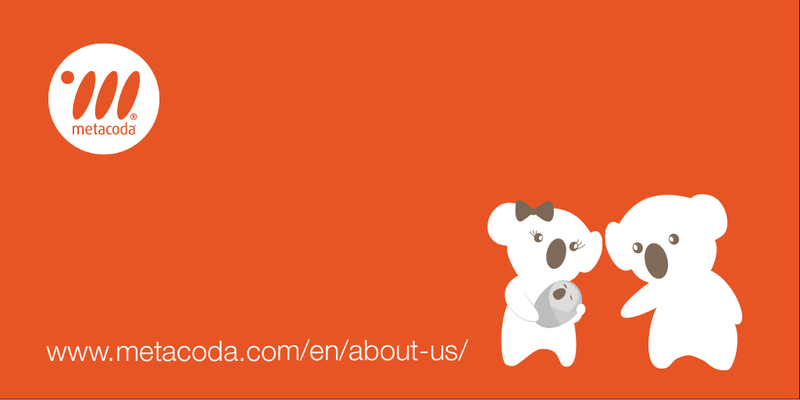 We hope you and your new “true blue” Metacoda koalas had an un”bear”lievable time too! 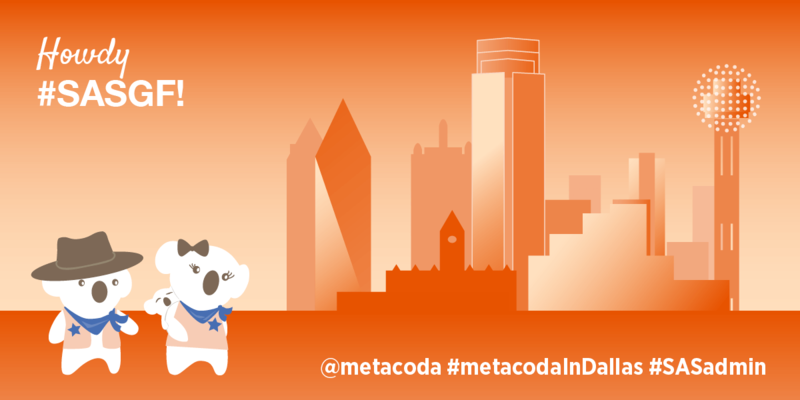 Make sure you check out the photos in our Metacoda in Denver Facebook album and please tag yourself!